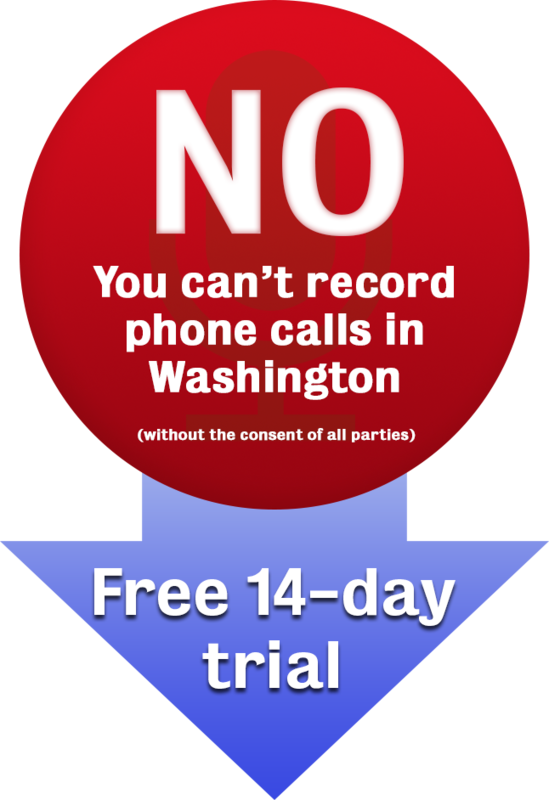 Washington has a “two party consent” law when it comes to recording phone calls. According to Washington’s wiretapping law, Wash. Rev. Code .9.73.030(1), it stated that “it is a criminal offense to record or intercept a private telephone call, in-person conversation or electronic communication unless all parties to the communication consent to it.” This law implies that you cannot record telephone conversation that you are a party to without informing the other party prior to the recording. What constitutes a private conversation? A number of considerations come into play in determining whether a conversation is private or not. These include case-specific factors like the place where the conversation took place, the presence of a third party, the subjective intentions of the involved parties, if there was any expectation of privacy from the parties etc. What is considered as consent? Wash. Rev. Code 9.70.030(3) defines consent as “announcing to all other parties engaged in communication or conversation, in any reasonably effective manner, that such conversation or communication is about to be recorded.” If at the beginning of a conversation it is announced that the conversation will be recorded and no party objects to it, it will be implied that all the parties consented to the recording. The statute does not specifically identify the particular instrument or electronic gadgets that should be used to record phone calls. This is left at the discretion of the concerned parties. Secure Speak provides you with an awesome way of recording calls. It is a cloud based application that gives you a phone number which you 3-way into any call. Whatever it hears gets recorded and it sends you the recording of the conversation when the call is over. Sign up today and enjoy a fourteen day free trial period to understand how easy it is to record telephone conversation with Secure Speak. Secure Speak is not a licensed lawyer and any statements do not constitute legal advice. Contact a lawyer for information pertaining to your specific case, and reference Wash. Rev. Code .9.73.030(1) directly.